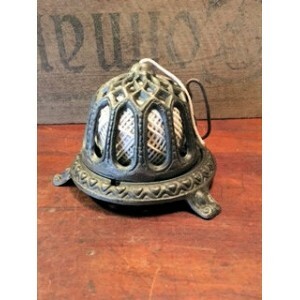 Victorian style Cast Iron String Dispenser. Measures base diameter 14cm with feet 16cm. 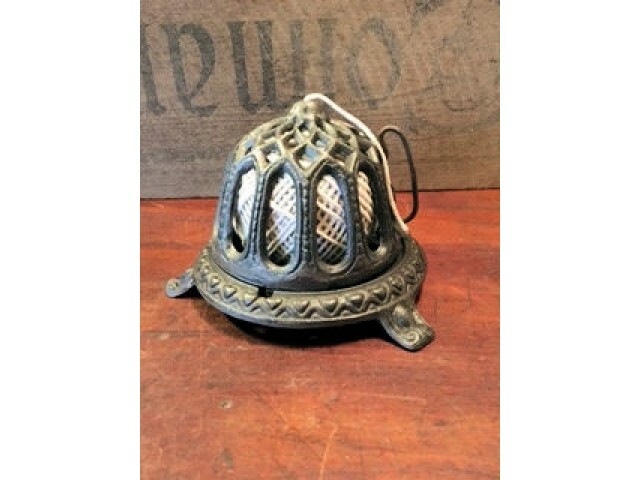 Metal cage 11cm widest x 10cm high. Overall height 11cm.